If everyone could have their way, they would stay young and youthful throughout their entire life. Unfortunately, life tends to take a toll on our skin. As we age, our skin loses its youthful glow. You lose natural moisture and elasticity and wrinkles start to form. Patients use everything from creams and chemical peels to Botox and surgery. Prevention is the best possible route. Once you have the wrinkles, they can be nearly impossible to get rid of. You can prevent wrinkles from forming by staying out of the sun, particularly when the sun is at its peak (between 1 and 4 p.m., depending on your time zone). Protect your skin by wearing protective clothing, such as long-sleeved shirts, hats and sunglasses, and using sunscreen that is at least SPF 15 when you have to be in the sun. Exploring anti wrinkle cream reviews such as Olay Regenerist Micro Sculpting Cream review, may help you to choose the better product for your skin. Drinking plenty of water is an important part of wrinkle prevention. Many experts feel that regular water intake can help reduce the appearance of fine lines and wrinkles, as well as prevent them from occurring in the first place. Water is necessary in order to keep the skin hydrated. Water also detoxifies your body and lack of water can speed up the inflammation process, thus premature aging your skin. When most people think of wrinkle prevention, they think of skincare, but taking good overall care of your body in general is also important. Aerobic exercise promotes blood flow to the skin. 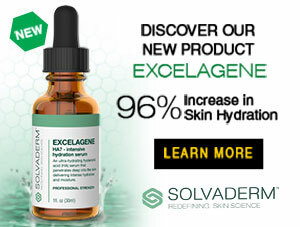 This helps increase new cell growth, as well as the production of natural oils and moisture. Overall, regular exercise can help prevent wrinkles from forming. It is also important that you eat a healthy diet on an ongoing basis. Several studies have proven that eating antioxidant-rich foods help to neutralize free radicals, slowing the aging process down. Leafy green vegetables are the best food source for antioxidants. Vegetables are also digested at a slower rate than other food, so they don’t spike blood sugar. Blood sugar triggers inflammation, which can cause wrinkles. Avoiding trans fats, high fructose corn syrup, refined carbohydrates and alcohol can also be beneficial to skincare. We all know that smoking is bad for you (and others around you) in general, but it can also cause your skin to age prematurely. Skin changes can occur within 10 years of smoking regularly. Early skin damage due to smoking is hard to detect. By the time you realize what your habit has done to you, it will be too late to combat. Smoking causes wrinkles all over your body, including your face and inner arms. When you smoke, the nicotine causes your blood vessels in the outermost layer of your skin to narrow, which impairs blood flow to your skin. Your skin doesn’t get as much oxygen as it needs, causing your skin to sag and wrinkle. Keeping tour skin well-moisturized can help reduce fine lines and wrinkles. There is some debate about whether or not dry skin can lead to wrinkles, but everyone agrees that a good skincare regimen is the key to youthful-looking skin. A good moisturizer should be applied twice a day; once in the morning and once in the evening before going to bed. Getting a good night’s rest is equally important to wrinkle prevention. Prevent wrinkle forming which can be helped by Plexaderm have a single look over its review. Your skin cells grow and repair during sleeping hours. Not getting enough rest can compromise these processes. It is recommended that you get between 6 and 8 hours of sleep at night, preferably a minimum of 8. Sleep deprivation also elevates stress hormones, which can cause inflammation and wrinkles. Your sleep position matters too. The American Academy of Dermatology recommends sleeping on your back to avoid wrinkles. Lying on your side or your stomach causes parts of your face to be pressed against your pillow. This can cause chin, cheek and forehead lines. As you’ve read throughout this article, there are many things you can do to prevent wrinkles. It is better to prevent them starting early in life (even if signs of aging are not present on your face). One mistake many people make is waiting until they begin to wrinkle before deciding to do something about it. It may be too late if you wait that long. It is better to start working on it as early as possible.